Heavy Duty Test Tags that comply with the requirements of AS/NZS3760:2010. 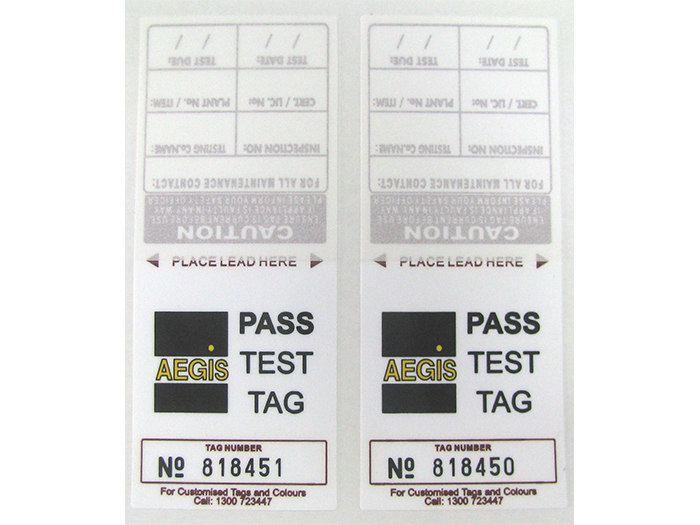 Aegis Test Tags have a sign and seal security lamination flap which prevents tampering of the user's information and protects the tag in harsh environments. All colours available for all your test and tag and PAT testing requirements.Medium duty, heavy duty, thermal, wrap arounds - there's so many types on offer. We specialise in one type of tag that suits all. You only need to carry one set of tags.